Hello there, if you didn't already know that I am obsessed with Born Pretty Store full nail water decals, here is another look I created to prove my love for these god-sent inventions! 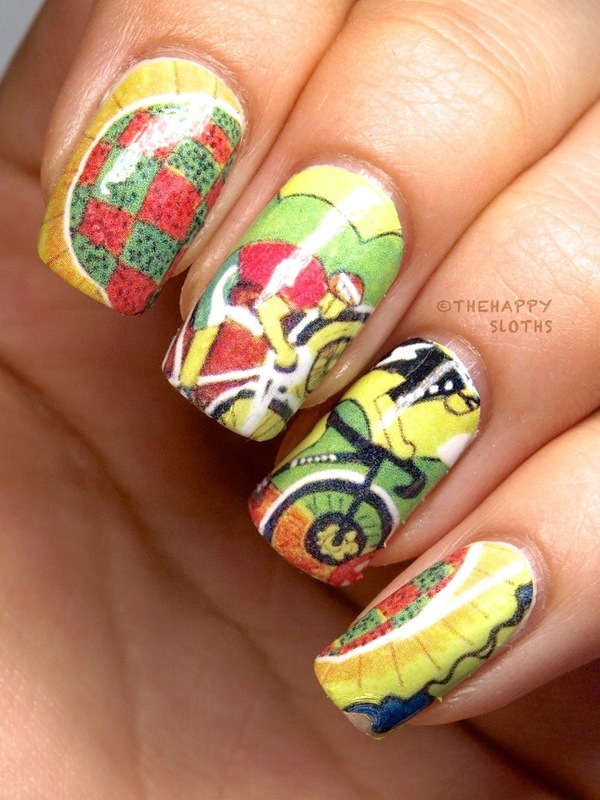 These oil painting style water decals ($1.99) feature a very summery scenery complete with cyclists. 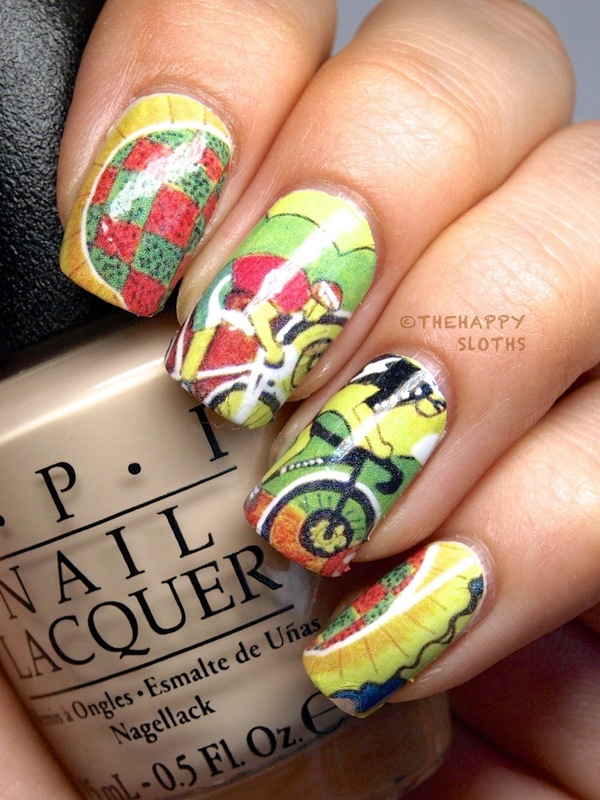 If you are completely new to water decals, check out my "comprehensive guide to water decals" post. This particular design was quite opaque so it could work over just a clear top coat but I applied mine over "You're So Vain-illa" from OPI. The decals were super flexible and conformed nicely to the nails. And after applying a generous layer of top coat. The design melds right into the base color and becomes completely crease-free. 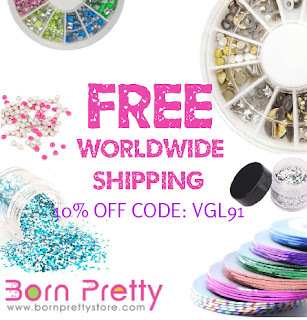 To check out these and other awesome water decals, click on the banner below, use the code VGL91 to get 10% off of your purchase. What do you think of this particular design? Let me know in the comments below!